Blue Hawaii is the songwriting, production, and DJ project of Raphaelle ‘Ra’ Standell and Alexander ‘Agor’ Kerby. After some four years apart, the duo rekindled their creative flame in 2016 and begun writing music about an intimate relationship Ra was experiencing mostly over instant messaging, sparking ideas about the meaning of closeness in our highly connected world. Tenderness is a concept album which brings forth the challenges of handling relationships online. Maintaining closeness over distance and a need for more tenderness between each other – both in real and virtual life – are important themes in the album’s progression. The album draws upon influence from 90’s dance tracks and deep disco cuts, often mixed with Ra’s acoustic guitar playing. It unfolds like a play and each song being supported by shorter interlude pieces: skits, phone calls, acoustic demos, real life samples and quiet left-turns. “Free At Last” opens as a smooth house jam with a half-spoken vocal, rasping out the bittersweet tear between the end of Ra’s last relationship and her budding self-confidence. The listener is guided through the many other phases of letting go: pining, anger, nostalgia, forgiveness, and abandonment, until reaching the title track, “Tenderness”. Here the strength which Ra has been searching for is boldly stated: “I learn to greet the day, with as much tenderness as if I were laying in your arms, learning how to be alone without you, and happy to be with me”. 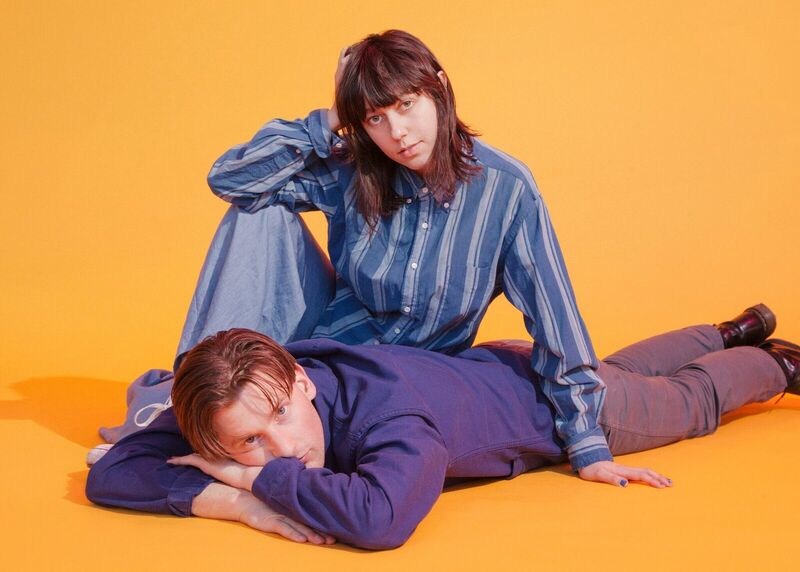 Blue Hawaii have traced a unique path. They made a splash back in 2010 by releasing the sun-soaked EP Blooming Summer, following their loving, dustyrose coloured travels through Central America. Three years quickly passed and they suddenly found themselves touring a break-up record called Untogether (2013), dealing with complex issues surrounding technology & their relationship, living apart while creating together, and seeing their local community torn apart by success and jealousy. Since then, Ra spent much of her time with her band Braids, while Agor has lived in LA and Berlin developing a deeper understanding of dance music production and DJing — something the two are well known to bring to their heavy-hitting live show & DJ sets. The cover image of Tenderness is shot in Agor’s ex-living room in Glendale, CA – it depicts a couple close to each other, ironically tender, communicating primarily on their phones. This speaks to the contradictory power of technology, wherein people are both alienated and brought together by its use. It offers one view on our preferred method of staying in touch, but not an altogether depressing one for it is somehow also rose-coloured and loving, with room for personal growth. By the end of the record Ra has dismissed her absent lover and finds validation without a need for them – investing newfound energy in being tender to herself. Posted on July 26, 2017, in stream and tagged Arbutus Records, Blue Hawaii. Bookmark the permalink. Leave a comment.